The chase scene is almost a prerequisite of any film bold enough to call itself an action flick. Nowadays, the greatest chase sequences feel more like a feat of CGI and special effects rather than a feat of raw, unadulterated driving skill… But that’s not what this list is about (We’re looking at you Vin Diesel). The best car chases can define a film. They are pure Hollywood with their high-powered, breakneck mayhem. These time-honored chases unequivocally make for a thrilling ride, where, for a brief moment, you can be transported into another world (or, for Bullitt audiences, 11 minutes of straight madness). Oh and in case you’re the type who would rather watch instead of read, we chopped this list up into a video for you. Drive is a movie showcasing precision driving from beginning to end, and there are several memorable chase scenes. Director Nicolas Winding Refn uses one resourceful, pulse-pumping chase scene to acquaint us with everything we need to know about Gosling’s character in the movie’s opening scene: he’s got a cool head under pressure. We see him smoothly navigating the cat-and-mouse chase with the LAPD in a nondescript silver Chevy Impala (to blend from the cops) in an unforgettable scene where the roar of the engine acts as the most beautiful score. To add to the uniqueness, the entire car chase is shot from inside the car which makes it extremely intimate. Goldfinger, the third-ever film in the 007 series, was the first time James Bond’s iconic Aston Martin DB5 was introduced. Tricked out with all sorts of super cool secret agent gadgetry, most memorably the ejector seat, this car made not only Bond but cinematic history. This movie single-handedly introduced the now-ubiquitous practice known as product placement. The filmmakers persuaded the very-skeptical Aston Martin to lend them the D5 prototype. In the film’s — and arguably the franchise’s — most unforgettable car chase, Bond’s D5 used everything from smoke trails and oil slicks to make his pursuers (all driving 1956 Mercedes-Benz 220s) slow down and spin out of control. A hell of a way to open a movie, and vastly different than the hundreds of other bank robbery turned car chase scenes we’ve seen before. This opening sequence was actually inspired by and set to “Bellbottoms,” the song you hear and see Baby listening to. Director Edgar Wright would listen to that entire album, Orange, over and over again and envision an ambiguous car chase. 20 years later, he figured out what to do with his ideas. He has said that he was very intentional about putting the beats of the script and the action to match the duration of the song. The result is exhilarating. Incredibly skilled stunt driver Jeremy Fry pulls off some amazing tricks in this blazing red Subaru Impreza. We see him slalom the car through an obstacle-filled alleyway, dancing around the obstacles at 70mph with such precision and grace, it is a mini-movie in its own right. The brilliance of Michael Bay is that he knows these scenes, no matter how seriously played, are supposed to be fun and silly. So why not take every opportunity to cause mass destruction at every turn? In this film’s chase scene of epic proportions, Sean Connery tries to make a run for it in a massive Hummer while Nicolas Cage is commandeering an ostentatiously speedy Ferrari. Using the prevailing weight and size of his Humvee, Connery blithely smashes his way through everything in his path, as both the San Francisco Police Department and the FBI give chase in various bouncy cars and SUVs. Au contraire, Goodspeed (yes, that’s Nic Cage’s actual name in the movie) has no such luxury. And given that his character is meant to be more demure in nature, he handles the comparatively fragile Ferrari with remarkable finesse. How he manages to drive through so much carnage and debris without so much as puncturing a tire, for example, is a mystery. Throw in Bay’s iconic “hero shot” — you know, that low-angle, semi-circle camera spin that makes Connery and Cage look ultra cool —and you’ve got yourself the unintentionally perfect chase scene. As “The Transporter,” Jason Statham is supposed to be the best in the business (we’re talking cars, obviously). In the infamous BMW race scene, he proves he very well could be. Despite the chaotic situation he’s in, he remains relaxed and improvises on the fly, yielding some pretty entertaining results. This scene features a 1995 BMW E38 E735i, one 2000 Peugeot 607, two 2001 Peugeot 307s, and five minutes of beautiful stunt driving and unnerving fun. Watch the complete scene here. Bullitt might have revolutionized the car chase scene, but The French Connection gave it an authenticity not yet seen in cinema. In this sequence, Popeye Doyle (played by Gene Hackman) hijacks a 1971 Pontiac Le Mans and then commandeers it in a high-speed pursuit with a sniper shooter, who is literally speeding above him on an elevated train. This Brooklyn chase is exhilarating on many levels. Gene Hackman’s furious performance certainly lends to the brilliance of the scene, but what really adds an extra sense of reality to its viewers is perhaps the fact The French Connection was shot without all the necessary permits in place. See that sudden crash with a crossing white Ford shown at 3:29 in the video above? Totally unplanned. Director John Frankenheimer took the techniques he learned as a former amateur race driver to create several brilliantly done chase scenes in this film, but the real standout is its final scene in Paris. This white-knuckle chase had 300 stunt drivers, many whom were Formula One pilots and featured a ton of strapping, Euro-muscle gear like the Audi S8, BMW M5, and Mercedes-Benz 6.9 all battling each other through narrow city streets, on roads winding along the French Riviera coast, through tunnels, and while driving against traffic on the crowded highways. These cars were going a whopping 120 miles per hour during filming, and you can tell. Ryan O’Neal plays an unnamed driver with a knack for getting out of tight spots in this 1978 classic. The Driver gives us a number of lengthy car chases, but perhaps the coolest vehicle used is a cherry red, 1974 Chevy C10 half-ton stepside pickup truck with a massive 454ci, side pipes, and a manual transmission. Here, he has to play chicken with some bad guys in a similarly cool, silver 1974 Pontiac Trans-Am to escape. Clocking in at just over eight minutes, with ingenious, sweeping camera shots, this scene is perfect. Its influence is still felt today. FUN FACT: Nicolas Winding Refn was inspired to make “Drive” after seeing this similarly somber chase movie. Each movie in the Bourne series has starred at least one monumental car chase, but The Bourne Identity’s final car chase in Paris where Jason Bourne outruns pretty much every police car in the city in a rundown Mini Cooper is hard to beat. He uses the car’s small size to his advantage – hurling down stairways, dancing around sidewalks, and evading his pursuers, resulting in several awesome smash-ups involving the police cars. The great camerawork keeps the action close to audiences, which makes watching this as entertaining as it is tense. Fifty years after its release, the notorious San Francisco chase in Bullitt remains the chase against which all other chases are measured. The legendary Steve McQueen’s natural talent behind the wheel of the Highland Green Metallic Ford Mustang 390 GT and famed stunt driver Bill Hickman behind the jet-black Dodge Charger 440R/T made this scene a cinematic landmark. In a cityscape that gets most drivers nervous for its ups and downs, this dramatic, narrow and aggressive NASCAR-worthy chase required both cars to be specially prepared. 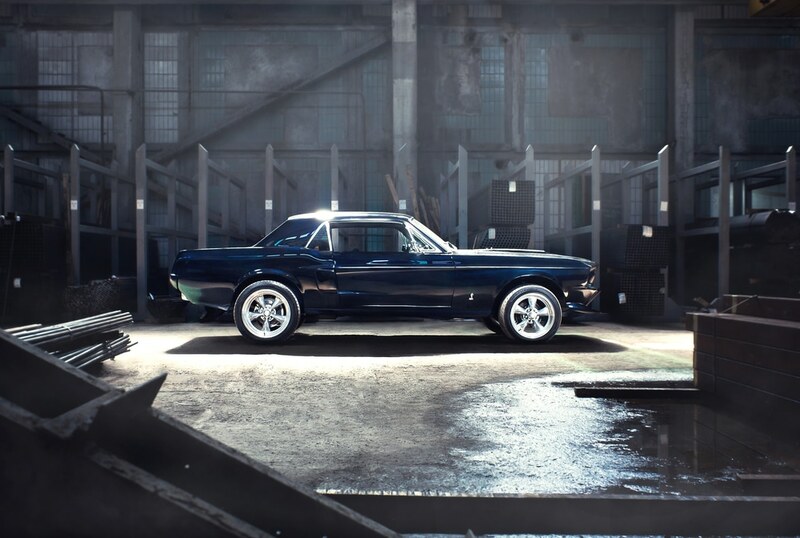 The Charger’s suspension was amped up with heavy springs and dampers and strengthened with pick-up points while McQueen had other, very specific ideas for his Mustang, down to a special Secura steering wheel, which he had custom trimmed in black leather. How can you pick just one moment from a movie that is essentially one giant chase scene? We sure couldn’t, so we picked the first chase in the film and are adding the stipulation for you to just go watch the damn movie! Mad Max Fury Road was done almost entirely without CGI. Every car and action stunt was done using practical effects and then polished off with the use of computer graphics, making for one of the most visceral action flicks to ever grace the silver screen. Over 450 hours of footage was captured throughout filming which was then compiled and edited by Director George Miller’s wife, Margaret Sixel. When asked why he chose his wife as editor who had never done an action film before, Miller said, “Because if a guy did it, it would look like every other action movie.” A bold decision that paid off big time.